We did a HUGE amount of work for the Warcraft - The Beginning in the fall of 2013! We did a lot of custom work including custom ring profiles, custom casting and a new scale size. In total the project was about a million rings plus scale work. Here is some trivia about our work on this amazing project. 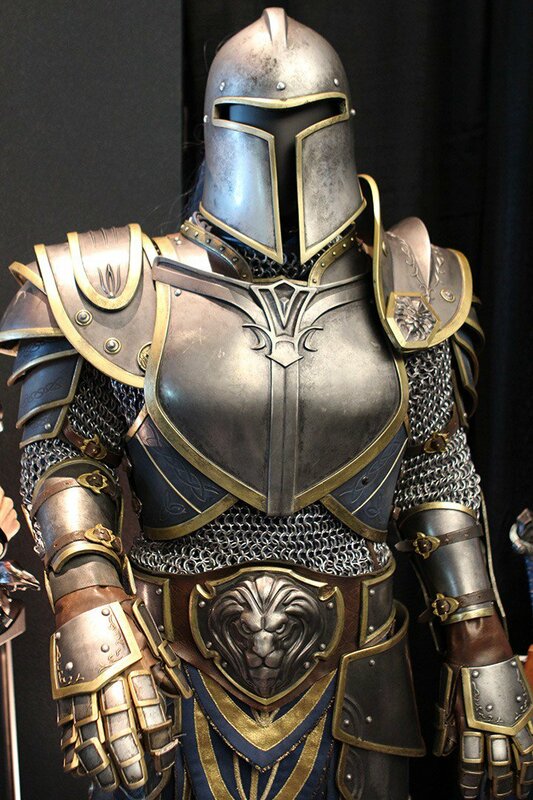 - We worked with MailleTec Industries Inc. to make scale armor that used 3 sizes of scales. - We made matching scale horse barding - 2 full sets plus a bunch of scale collar pieces. - We developed the the custom "roped" and patterned triple rings we now sell for this movie. Our SXAB-DRN-TPL1212 ring (http://bit.ly/1K8sKjh) was designed custom for this movie! - We made 88 SUITS OF CHAINMAILl!! 25 were shirts and faulds sets, 60 were shirts only. Each shirt was waist length with 1/2 sleeves. Assembly used 30 chainmailers over the course of 3 months. 670,000 rings total. - We worked with our Chinese caster to make 3000 custom brass buckles used on armor in the movie.